Daniel Finerty, a Partner with Lindner & Marsack, S.C., represents and counsels private and public sector clients, Native American communities and Employment Practice Liability Insurance carriers in labor and employment litigation matters. Daniel aggressively defends discrimination, retaliation and harassment claims under federal, state and local law as well as health care retaliation claims under Wisconsin’s Health Care Worker Protection Act, arrest and conviction record discrimination claims, unreasonable refusal to rehire worker's compensation claims and other Wisconsin-specific employment litigation matters. He represents clients in these and other cases in federal, state, tribal and appellate courts as well as in various regulatory agencies such as the Wisconsin Department of Workforce Development’s Equal Rights, Worker's Compensation and Unemployment Insurance Divisions, the Equal Employment Opportunity Commission and the U.S. Department of Labor, among others. 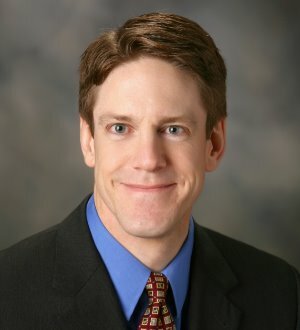 Daniel is "AV Rated" by Martindale Hubbell in Labor and Employment Law, has been recognized nationally and with a ‘First Tier’ ranking locally by Best Lawyers and U.S. News & World Report in Appellate Practice since 2010 and was selected for inclusion among Wisconsin’s Super Lawyers in 2014 and 2015, and among Rising Stars five times, in Employment Litigation – Defense.